In fourteenth-century Spain, former friends vie for a man's heart and the future of his kingdom. 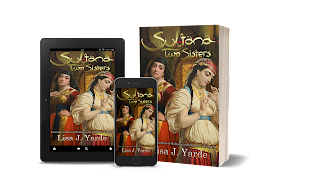 Both women are captives sold into the harem of Sultan Yusuf I of Moorish Granada. A young girl with a hidden heritage, Esperanza Peralta, forges a new identity as Butayna and becomes the mother of Yusuf's firstborn son.The Jewess Miriam Alubel takes the name Maryam and also bears Yusuf's children, including two sons. The clash between former friends is inevitable, as each finds diverging paths in a dizzying rise to power beside their husband. Both remain aware of the struggle ahead, for only one heir may inherit Yusuf's throne and only one woman can claim the revered title, Mother of the Sultan.